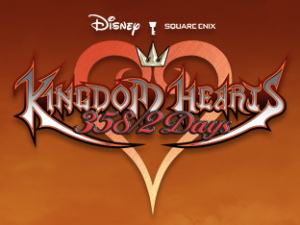 Kingdom Hearts fans have been anticipating this new DS release for some time now, so it should come as good news that we finally have the official promotional trailer for Kingdom Hearts 358/2 Days to show you. You can check out the trailer below along with a snippet taken directly from the Square-Enix press kit that gives a bit of insight into the game itself. Can you solve the mysteries of KINGDOM HEARTS and help Roxas rediscover his past? We'll have more information on Kingdom Hearts 358/2 Days as it becomes available, as well as a full review of the game when it's released this Fall. I have been waiting for this game for nearly 2 years,it's about time!! One question though,is the multiplayer Wi-fi? I wonder who is going to review this awesome game? I love everything about this game. Except its name. I just can't get over how awkward and confusing it is. Cool visuals. Great it has multiplayer but 2 didn't quite grab me so I'll wait for the review . I still need to play the original Kingdom Hearts Games on the PS2 first but there's too much good stuff I want and so little money. Also, why is it called 358/2 Days? @Terranigma-You must buy the PS2 Kingdom Hearts games,you don't know what you're missing! I think 358 means 358 days Roxas was in Organization XIII,but from what I heard,it is a code that will not be understood until you have completed the game. All I see is a bunch of emo kids! UGH! I would have been interested if they'd gone a different way in character presentation for this title. Of course their emo, im sure you would be a tad depressed if you found out you were only half a person! Would it be too hard to make a kingdom hearts game for the Wii, Square Enix? YES!! I want this now! Wow this looks great! The graphics & cutscenes look great. It seems strange that they chose to make this on the ds though. Why not just make it on the wii? That would make local multiplayer much easier.... At any rate, I can't wait! One I think because (this is what i think) Kingdom Hearts I believe was only a Playstation title at the time but SE wanted to see if nintendo could pull it off too (why they made CoM) because the regular KH games #1 & #2 were PS2 only & when KH3 comes out maybe just maybe it won't be only on the Ps3 but maybe the Wii too. But thats A big IF. ummm... sounds stupid. I hate kingdom hearts its too emo-ish. by that i mean it has stupid emo boo-hoo waah waah music that makes me want to the mute it... and has a stupid yellow spikey haired emo boy(this time it isn't cloud) that is using stupid arm movments for stuff like NOOOO!!!!! or STOP IT!!! and has the stupedest weapon in the world(Next to the gunblade from FFVIII) ok before i have people get on to me for that gunblade thing... ask your self this WHAT THE HELL IS A GUN DOING ON A SWORD?!?!?!?!? i mean sereously people. if a sword handle had a trigger on it and the sword weighs (ITS OVER) 9000 tons all your going to do is break your wrist.... and WTF does it even do? there is no place for bullets to be fired out! and i understand the concept... guns=WIN and Swords=WIN but Swords+Guns=FAIL. and you dont need a sword... its the future GET A GUN! I'll get it soon, once I get more money (very slowly as I have no job) but other things are grabbing my attention right now, such as Ghost in the Shell and a new 360 controller, so it's a tough one. This still looks pretty iffy.